Please note: Holidays for 2019 have still to be agreed and confirmation will be issued as soon as a decision has been made. Our pre-school is open for children from 9.00 am until 3.00 pm. The additional half an hour early morning session is in addition to the sessional hours and can be booked at a cost of £2.15 per half hour on a daily basis. ​Funded Places: Children who are eligible for funding, but use their funding at other establishments will be charged £4.30 per hour. In order to receive funding after your child's third birthday, staff need to see a copy of their birth certificate and proof of address. 30 hours of funding is also available for children the term after their third birthday whose parents meet certain criteria. Two year old funding for 15 hours, is also available to children who meet certain criteria. All registered unattended sessions must be paid for. Children are encouraged to have healthy snacks and water is available at all times. We sit down to a group snack time around 10 o'clock. We have fruit, vegetables, yoghurts, cheese, humus, pitta bread and toast on a regular basis. We have a good sized indoor classroom with a range of appropriate activities and resources. We also have access to the larger hall where we can use bikes, scooters and prams. 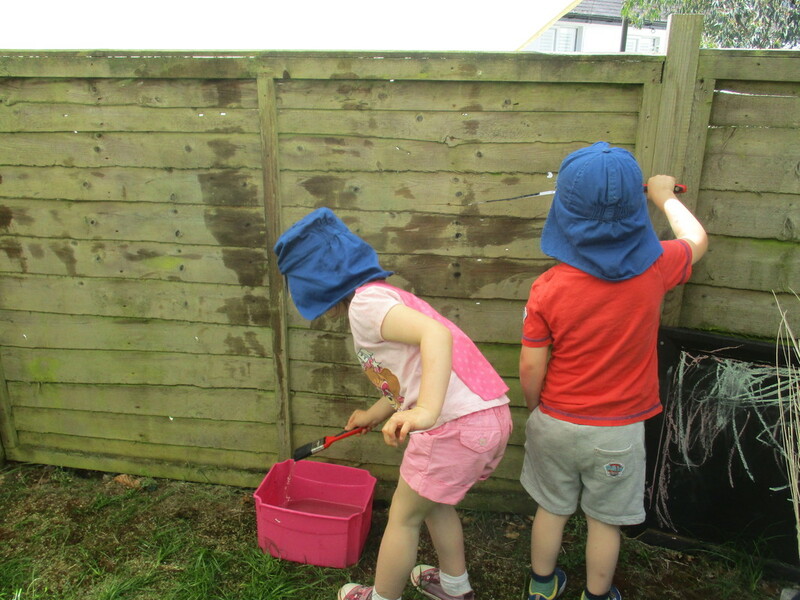 Our outdoor spaces is frequently used so children are requested to bring in spare wellington boots and waterproof clothing. 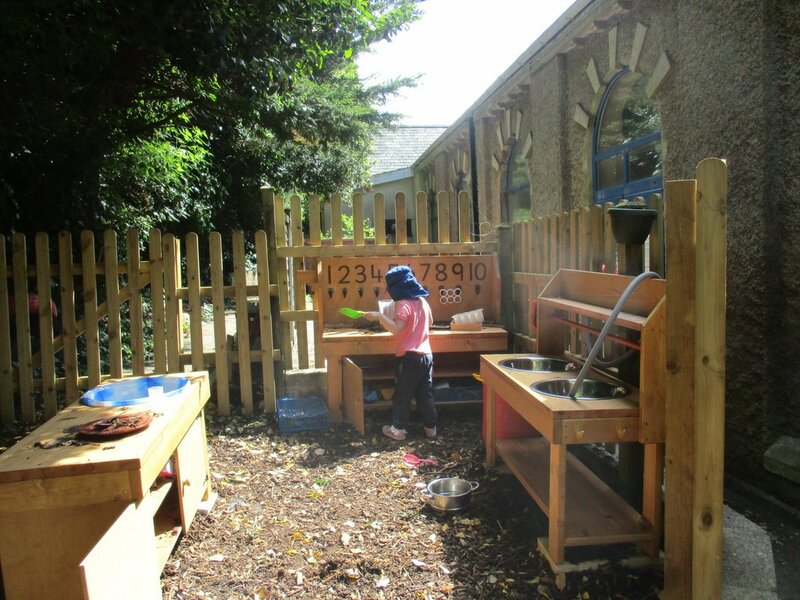 Outside we have dens, a mud kitchen, ball run, patio and large grass area for a range of outdoor activities.